1 3/8" = (35mm) Wide. 100% Leather. 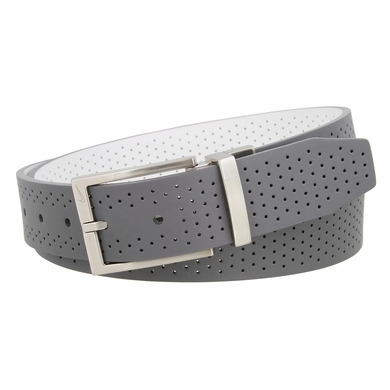 Hand Wash. Reversible belt with perforated strap and silver-tone harness buckle with swoosh logo.